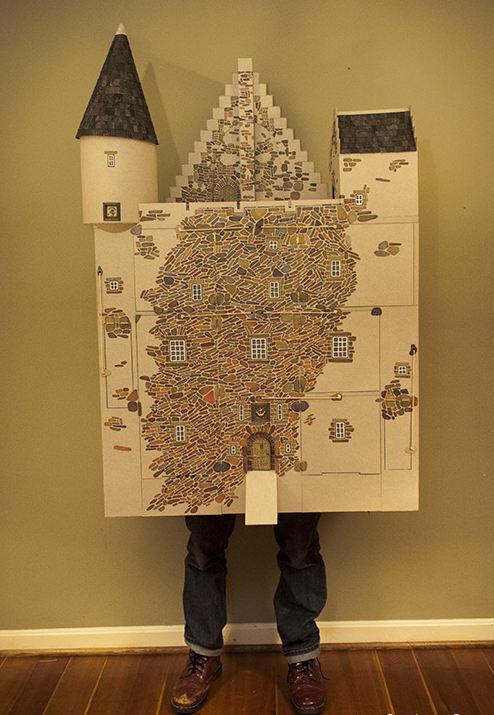 Jamin Hoyle, my art director friend spent six months constructed what can only be described as a badass haunted Halloween castle costume. 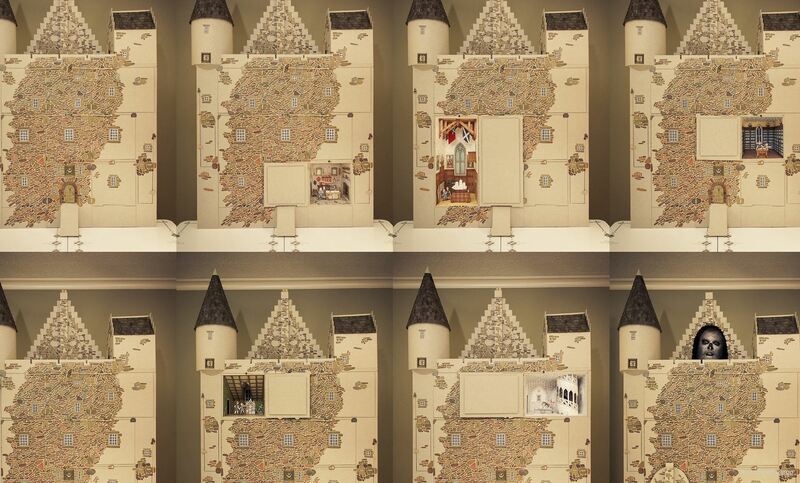 This Scottish castle is complete with multiple doors that open up to intricately beautiful storybook scenes. I cannot wait to share this with my kids. Check out Arnold DC’s Jamin Hoyle draw “Where The Wild Things Are” with chalk.